Chinese Baseball: Today, Xu Gui Yuan Made His Professional Debut! MLB Development Center Players, Other News! Today, Xu Gui Yuan Made His Professional Debut! MLB Development Center Players, Other News! It's been a long time since we heard about players from the MLB developmental center. The WeChat micro-bloggers finally put up a nice article about the players. The U18 Crew. John Foster, a former MLB pitcher for the Atlanta Braves is one of the head coaches this year for the youngsters. Hopefully, one of these great players will be joining Xu Gui Yuan State side within the next 3 years. Here's an entry by a writer name "Vegetable" talking about baseball after the 2008 Olympics. As you can see, we need more support in the China Baseball League in order for baseball to thrive! I know many of you 來外 (Non-Chinese) like to come to my blog and ask where to see a baseball game. Well I encourage you to keep asking! Thanks for supporting China baseball! Speaking of Taiwan, here's a nice guide to Taiwanese Baseball by a very enthusiastic fan on Reddit. You can keep track of all the teams and their foreign players there. 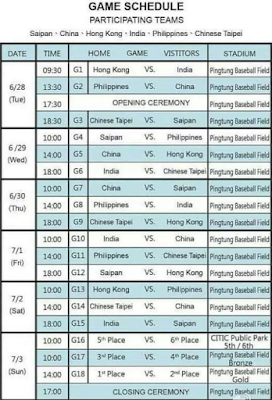 Also, here are the results of the Cross-Strait Tournament if anyone is interested (Chinese...sorry!). That's about it! 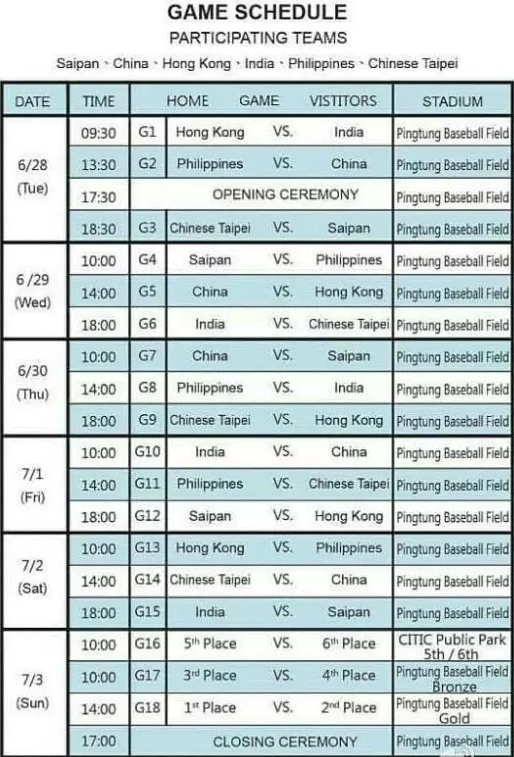 China Baseball League returns next week! I will keep track of Xu Gui Yuan and keep everyone updated! Thanks for reading and have a great night! I'm traveling to Beijing from 7/1-7/23 and would love to see a game. I am having trouble locating the Tigers' stadium. Any info you could give me about tickets, stadium location, etc. would be greatly appreciated!